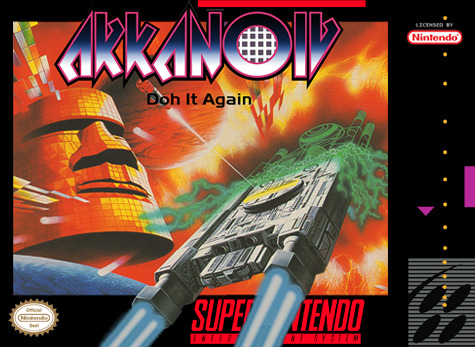 Arkanoid: Doh it Again for Super Nintendo has you controlling a horizontal paddle at the bottom of the screen amd destroy the blocks that are in your way. Some blocks contain power-ups like warp or firepower. Play through 99 different levels or even create your own.